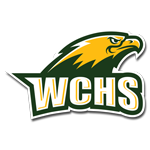 The Wilkes Central Eagles will host a first round basketball state tournament game at WCHS on Tueday February 21st at 7pm against Trinity HS.. Gates open at 5:45pm and tip-off is at 7pm. Tickets are $6.00. No school employee or MVAC passes will be accepted for state playoff games. The Lady Eagles travel to Monroe HS for a 6pm game versus Monroe HS.